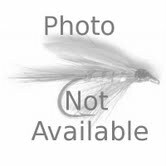 G. Loomis Salmon Mooching Fishing Rod SAMR1474C is the longest of our mooching rod selection. It is rated slightly lighter for both line and lure ratings due to the extra length. This rod provides maximum clearance for spreading out the mooching rigs and allows extra-long leader management. This particular rod is an excellent choice for silvers and small kings, but will handle an oversized surprise should you be so lucky. It will mooch or troll the up to 5-ounces, but it's not designed for casting. This is the best rod I´ve ever tried. It's very light and strong at the same time. The rod is made of very high quality and it made my fishing more comfortable. I give this rod a 5 star. And I also want to give American Legacy a 5 star for fast service and a fair price of the products.